Navajo silversmith Helena Yazzie twists and weaves sterling silver wire by hand to create the complex web at the center of each earring. The dreamcatcher is believed to capture bad dreams and pass along only good. 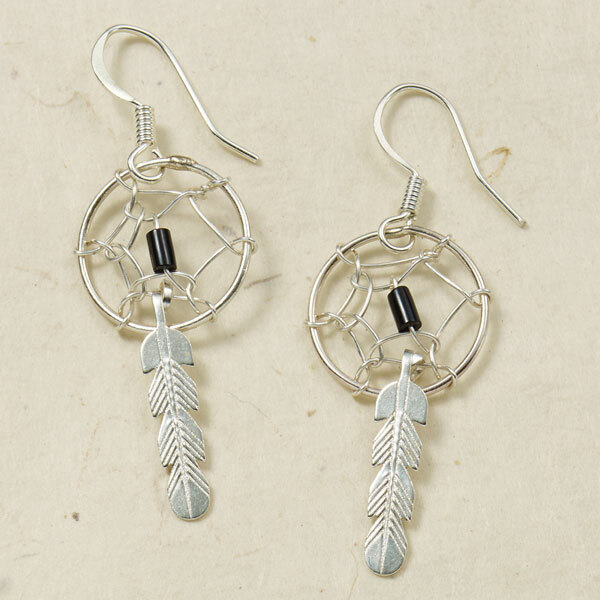 Accented by black heishi beads and cast sterling feathers, earrings hang 1¾". No two are exactly alike.